Are you looking for a new film to watch together as a family? 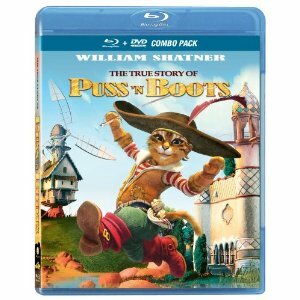 If so, the newly released movie, The True Story of Puss ‘N Boots has just been released on Blu-Ray and DVD and is worth checking out if you are a fan of this character. Starring Emmy and Golden Globe winner William Shatner as the voice of Puss, this movie is a great family film about accomplishing your dreams no matter who you are. Released from Phase 4 Films, this animated movie is true to the original story that is based on the famous Puss ‘N Boots character by Charles Perrault.